School employee fired after correcting student’s spelling on Twitter. There’s gotta be an HR lesson here somewhere. Oh, I think I can come up with something. Have you heard about this one yet? This one has been making the rounds over the past few days. 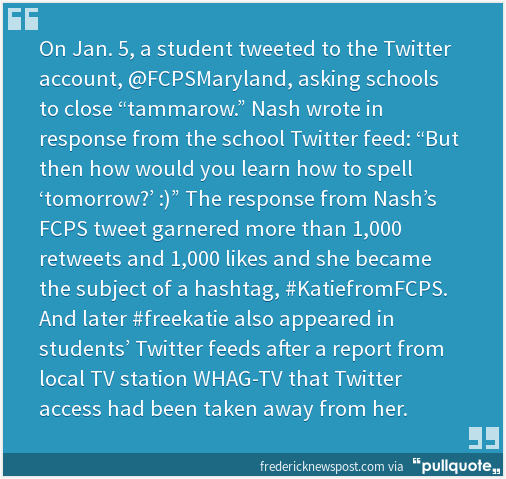 According to this story from Brandi Bottalico at the Frederick News Post, the person in charge of running the social media accounts for the Frederick County Public Schools is, well, no longer doing that. You mentioned an HR lesson…we’re waiting. Unfortunately, my pearls of wisdom lack much of their luster. (As opposed to my pearls for clutching, which are hella-shiny). Indeed, this is old hat. Because it’s all about setting expectations. 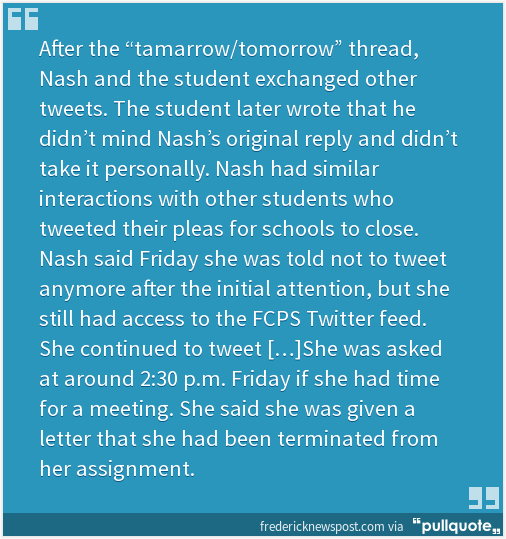 While the employee probably assumed, at first, that her “tamarrow/tomorrow” tweet and subsequent thread were innocuous enough; in the school’s eyes they were not. But, it was only after about 1,000 retweets and likes that the school told her to knock it off. And, when she didn’t, she was fired. Did the school district miss an opportunity to spin the “tamarrow/tomorrow” tweets into something positive for the school? I’ll save that for the marketing folks. But, in a situation like this, when your business has one person or a small team controlling its social media accounts, you need to be very clear at the outset about what these employees can and can’t do. With some written instruction (e.g., policy), training, and oversight, you can make situations like this — or, perhaps, much worse than this — less likely.